It was supposed to be a celebration. I had just walked with a friend through a hard journey toward a giant goal. We had made it to the finish line! And here we were. I showed up at the gathering eager to celebrate. I carried a giant gift no one offered to take at the door. I sat at a party table still holding the giant gift in my lap as my friend wiped tears from her eyes. Something had drastically changed and yet, no one had communicated this important fact to me. I felt helpless, clueless and really awkward. There wasn’t even a glance to acknowledge how far we’d come or even the hint of a smile at this victory. The worst thing was this was obviously more than the finish line to a journey. This was the finale to a friendship. After what felt like an eternity, my friend excused herself from the table as I quietly excused myself from the gathering leaving behind not only my thoughtfully considered gift, but also my precious friend. That gift was left on my doorstep in all its pretty wrapping with a never opened love note still tucked in place. The beautiful package resting on my doorstep mocked my shredded heart. A statement had been made: Unforgiveable. I’ll never know because she never told me. The unknown of it all still stings. Had I known I was lost, I could have corrected course. Had I known how she felt, I could have at least offered the humble gift of an apology. Eventually I found the courage to pick myself up, brush myself off and try another hand at friendship. I vowed to keep myself in check. I vowed to never find myself in the offender’s place again. Until one day, I found myself caught in the rolling tide of the same emotions once again. Although the situation was unique, it felt all too familiar. Another statement was made, this time blazing across the screen of my phone in a text message: Unforgivable. And as I cried out to God that I was tired of feeling used up and broken, God’s sure grace sweetly showed up. Grace opened my eyes to some similarities in these painful situations that could very well mean it was something I did. Grace first opened my eyes to truth. “But if we confess our sins to him, he can be depended on to forgive us and to cleanse us from every wrong. And it is perfectly proper for God to do this for us because Christ died to wash away our sins.” (1 John 1:9) And so I humbly confessed my wrongness, even though I wasn’t quite sure what my sin was. I just knew my actions had hurt a beloved friend. Then I forcefully claimed my forgiveness. Thank You, Lord for forgiveness! As hurt, confusion and anger all banged on my heart’s door, I was able to respond with new life because God’s grace showed up that day. And when I got alone with God and His grace, He showed me these wild emotional guests hadn’t really come for me. They had come to visit old friends who still reside deep in my heart. Hurt, confusion and anger are regularly invited into my heart by rejection, fear and doubt. 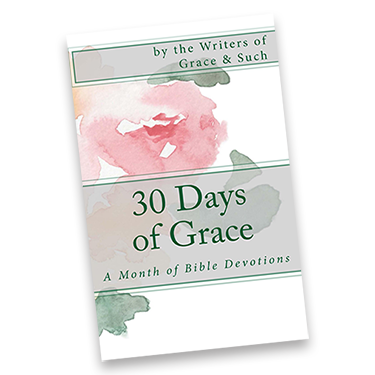 On the day grace showed up, it gave me the ability to see where I had gone wrong. Grace empowered me to see the part I had played. Grace empowered me to silence the bullying lies that label me, “Unforgivable, unlovable, manipulating and controlling.” Grace empowered me to reach out in love not knowing if my arm would be cut off or if my embrace would be received. Grace empowered me to resist finding fault in my friend and to quit defending myself. Grace empowered me to take responsibility for my actions and to understand the differing view of a loved one. Grace empowered me while I was still wrapped in undeniable hurt. Grace healed me that day giving me all I needed and more. Grace uncovered and released new life in me and gave me a new understanding in relationships. Grace not only restored but also enriched a precious friendship. Proverbs 9:6 states, “Leave your childish ways and you will live. Walk in the way of understanding.” Grace gave me understanding. Lisa is passionate about applying God’s Word to everyday life. She regularly meets with Jesus while her SUV collects highway miles, sneaks out to her back patio for blessed silence and annoys everyone in her household by talking to herself really loud. In her defense, no one there really listens to her anyway. Lisa lives in North Houston where she daily increases her prayer life by selling real estate, mothering 4 wonderful and unique personalities and nurturing her 19 year marriage. Lisa’s online home is currently undergoing renovations. This is brutiful, Lisa. How amazing that God’s amazing grace is able to clean out our heart closets and replace the guilt and shame and rejection of the enemy with the freedom of His forgiveness and new mercies each day. Thank you for sharing your heart, friend.